1. If you are a big music fan and cannot live without it then you must have a portable music device such as an I-pod or a smart phone. Portable music players are present in abundance and come handy to you if you are always in the move. If you travel a lot, it is obvious that you cannot carry your home theatre system with you all the time. In this situation good portable music players come very handy because they do not let you go away from your favourite music. 2. 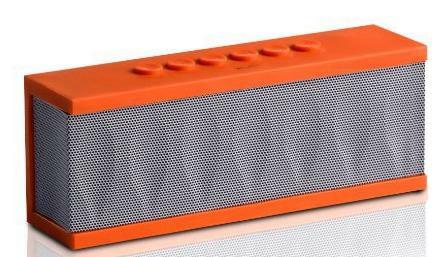 The second thing that you must have is a good Bluetooth speaker. Gone are the days when we used to have wired speakers because they were very bulky to relocate to anywhere else. Wired speakers were such a headache that they became bottleneck for organizing parties. Most of the party venues are in the open and thus you cannot have a wired speaker everywhere. Bluetooth speakers come to rescue in such situations. They can be used anywhere because they do not require any wire for playing music. You can find top Bluetooth speakers with all music lovers and this shows that they have become a hot trend. 3. The third thing that we want to suggest is that you should have an app which has unlimited music list. Technology has done wonders for music lovers. If you have access to one of the music apps, you can play almost any song that you want. Some of the apps require you to pay money whereas the others are free of cost. Free of cost apps are usually short of some rare songs. Paid apps have a to z of all songs and hence you will have a gala time listening to them. More importantly even the paid apps have a very small fee.